Zhengzhou University was established in 1956. It is the first university established by the PRC in Henan province. Shandong University helped them greatly. In 1992, Huanghe University (Yellow River University) was merged into Zhengzhou University. On July 10, 2000, Zhengzhou University of Technology and Henan Medical University were merged into Zhengzhou University. 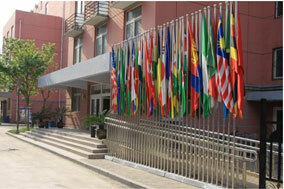 The School of International Education (SIE) is in charge every aspect of international students of Zhengzhou University. The School of International Education offers both degree and non-degree programs for overseas students. Degree programs cover all bachelor, master, and doctor degrees offered in the University, while non-degree programs provide overseas students with various training. There are approximately 1,300 overseas students from 60 countries or areas in SIE; among them over 80% are degree students. The graduates of SIE have made important contributions to the development of their home countries. 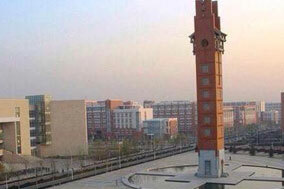 The University is the only one of the national 211 project key universities in Henan. The university now has two PRC national key discipline, Material processing project and Condensed matter physics. Chinese ancient history and organic chemistry are two other developing national key disciplines at the university. The Medical School of Zhengzhou University, the former Henan Medical University, is found in 1928. It is one of the earliest Chinese medical higher education institutions recognized by WHO (World Health Organization) and approved to offer master and doctor degree programs in China. It is also one of the earliest universities offering EMI (English Mediated Instruction) medical programs in China. Zhengzhou University began to recruit the first batch of international medical postgraduates in 1988. After years of remitting efforts, the Medical School of Zhengzhou University has developed into an integrated medical teaching system including six colleges and two departments including Basic Medical america.html, Clinical Medical america.html, america.html of Public Health, america.html of Pharmaceutical Sciences, america.html of Nursing, america.html of Stomatology and Department of Medical Examination america.html, Department of Clinical Medicine, which covers over 40 specialties of five categories. The programs for international students include all type undergraduate and postgraduate programs offered by the Medical School, such as MBBS. According to statistics, since 2000 more than 1000 undergraduate students have completed their medical study with degrees. At present there are 939 undergraduate students studying medicine in Zhengzhou Universities. They are from Nepal, India, Pakistan, Bangladesh, Saudi Arabia, Syria, Eritrea, Botswana, Myanmar, Peru, Maldives, Zimbabwe, the U.S.A., Canada, Austria, the UK, etc. •Guaranteed accommodation for fresh international fee-paying students. •Over 1,200 places available in halls of residence for international students. •Ethernet connection in most rooms, providing 24-hour access to e-mail and internet facilities. •Safe, supportive and secure environment.